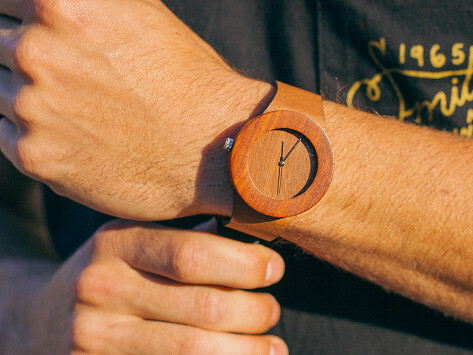 The Makore wood watch is made to be strikingly simple, showcasing each piece’s natural wood features. Crafted with high-quality Swiss parts and top-grain leather straps, its elegant appearance doubles as a wearable sculpture. The line first took shape as Lorenzo’s senior thesis. 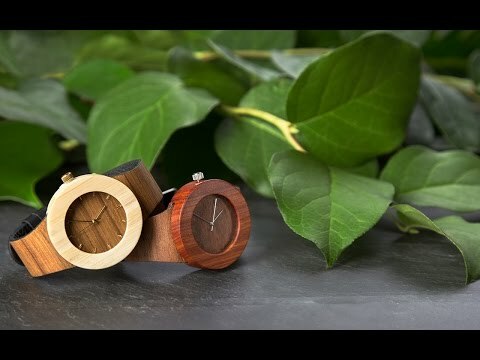 He's an avid nature enthusiast who created his first wooden wrist watches to bring the wearer a little closer to nature. And it didn’t take him long to realize there could be a market for his work. After a successful Kickstarter, Lorenzo found combinations of high-quality woods to create comfortable, and surprisingly lightweight, wearable works of art . . . which just happen to keep time. True to Lorenzo’s naturalistic roots, he designs Analog’s watches to work with the wood’s natural grain.